While two of the injured persons were brought to the Centre-run facility at around 8 PM last night, seven others were admitted in the burns ICU of the hospital early this morning. 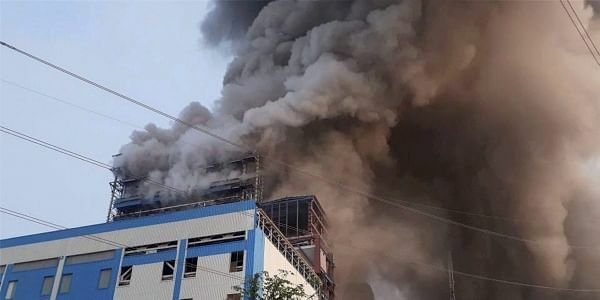 NEW DELHI: Nine men, who have suffered serious burn injuries in the NTPC plant explosion in Uttar Pradesh's Rae Bareli, have been shifted to the Safdarjung Hospital here. "Five of the patients are very critical. While three of them have suffered around 80 per cent burns, two have got 60 -70 per cent burn injuries," Dr Rajendra Sharma, the medical superintendent of the Safdarjung Hospital, told PTI. The other four patients have suffered burns ranging between 25-45 per cent, Sharma said. "We have the arrangements in place, in case more patients are to be brought, we can accommodate them," Sharma said. Minister of State for Health Anupriya Patel visited the hospital last night to oversee and ensure that the blast burn patients get the best treatment and care. The death toll in the massive explosion at the state-run power giant NTPC's Unchahar plant climbed to over 30. More 85 injured people are being treated at hospitals in Rae Bareli and Lucknow. Chief Minister Yogi Adityanath, who is abroad, had announced Rs 2 lakh compensation for the family of those killed and Rs 50,000 for the grievously injured, besides Rs 25,000 for other injured workers. Union power minister R K Singh has also announced a compensation amount of Rs 20 lakh to the next of kin of those killed, observing that the earlier ex-gratia was not enough. The NTPC has initiated a probe to ascertain the reasons behind the blast. In a statement issued yesterday, the NTPC had said that at unit number 6 of its Unchahar plant, there was a sudden abnormal sound at 20-metre elevation on Wednesday afternoon. The 1,550-MW plant supplies electricity to nine states, according to officials, and employs around 870 people.